When you travel with Adventures by Disney®, a leader in guided group family travel, you do much more than sight-see. You experience firsthand the people, places and cultures of our amazing world. With Adventures by Disney, there’s no need for exhaustive trip planning, mapping out where your family’s going next or worrying about getting your luggage where it needs to be. All of that is handled for you. So you’re able to focus on what really matters: being together. Leading the way you’ll have two Adventure Guides giving you VIP treatment throughout your vacation. Adventures by Disney plans active, immersive experiences that everyone in your family will love. Like river rafting down the Urubamba River in Peru, taking archery lessons in the English countryside or exploring Cambodia’s spectacular Angkor Wat temple. So whether you choose a destination in the Americas, Europe, Africa, Asia or Australia, Adventures by Disney is ready to take you there. So let’s go, and Adventure Together. KLOS invites you to listen for your chance to win an Adventures by Disney vacation for four! 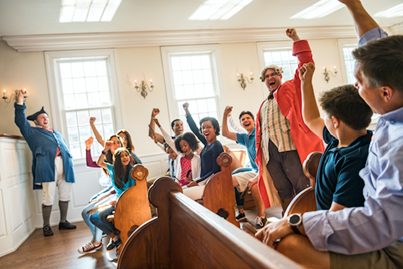 Feel history come to life as you and your family traverse the streets and visit the iconic sites of the city of Boston. Walk the Freedom Trail with costumed guides, row down the Charles River and explore Faneuil Hall Marketplace. 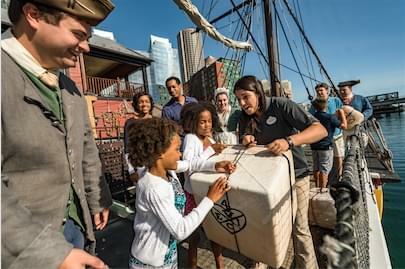 Plus, with Adventures by Disney, you’ll have special access to activities, like a traditional New England clambake on a private island, as well as after-hours experiences including a visit to the Old North Church and dinner at the Boston Tea Party Ships & Museum. This Short Escape vacation will provide you and your family with a lifetime of “wicked-awesome” memories. This vacation is filled with unforgettable moments and is just one of the destinations offered by Adventures by Disney.